The markets have been plagued with concerns of a government shutdown over the past week, a trend that is likely to persist through the next week. This is due to the inability for politicians in Washington to agree on a bill to fund the government. Otherwise, this week was a rather slow week in the markets, which is somewhat typical around the end of or beginning of a year. 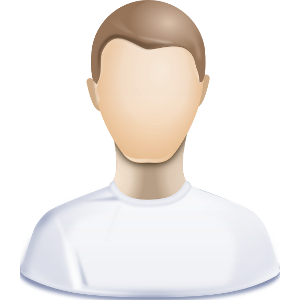 Nevertheless, there was still some action in the offshore drilling sector, which will be discussed here. On Monday, January 8, 2018, Transocean opened at $11.59 per share. The stock climbed on every day except for Wednesday, when it closed barely above its open for the week. However, it sharply rebounded and closed out the week at $12.20. This gives the stock a 5.26% gain on the week, a rather respectable performance. 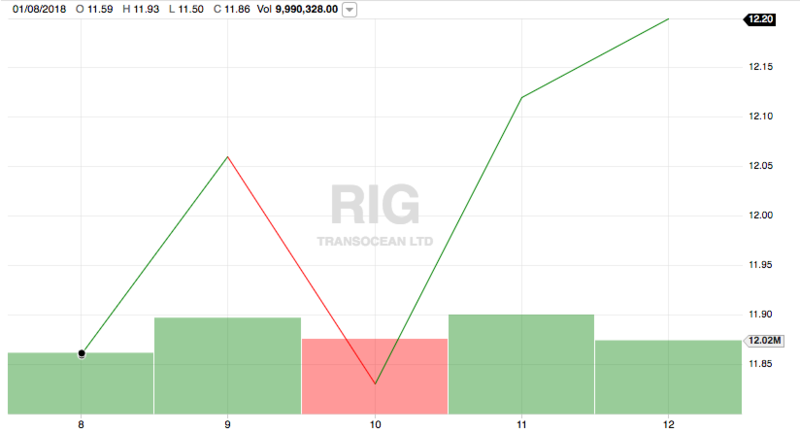 Transocean's stock performance was strongly positive over the trailing two-week period. While there were both up days and down days, the days with a positive return outnumbered those with a negative return and it returned an overall gain over the period. Transocean opened at $10.77 on Tuesday, January 2, 2018 (January 1 was a market holiday) and climbed to $12.20 by Friday, January 12. This gives the stock a two-week gain of 13.28%, which any investor should be able to appreciate. A trader would have had numerous opportunities to profit over the period as well. 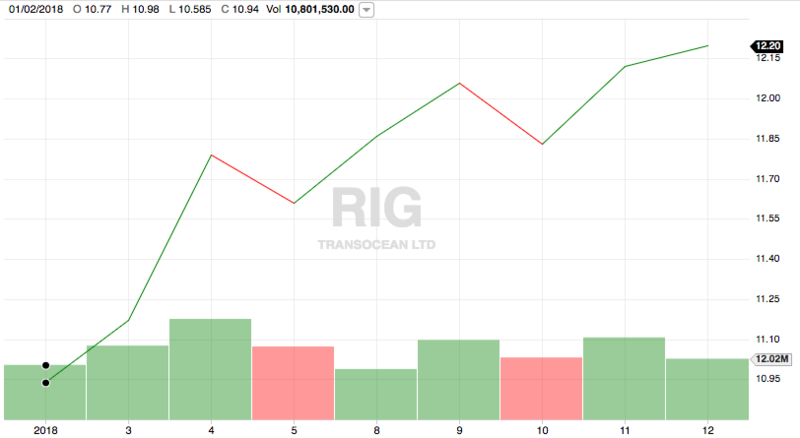 Transocean did not have any news that significantly impacted the stock over the past week. While the Trump Administration announced that Florida will be exempt from the proposal to expand offshore drilling in the United States, that announcement would have a minimal impact on the stock price or on the company going forward. Ensco stock also increased over the week ending January 12, 2018, with significantly less volatility than Transocean. 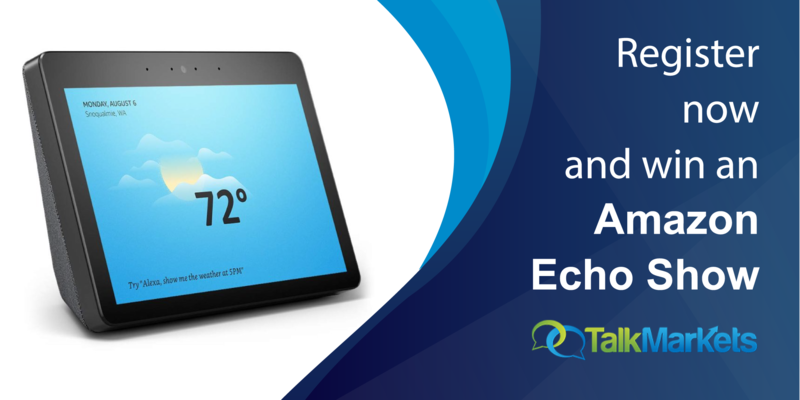 On January 8, the stock opened at $6.74 per share and closed out the week at $7.43 per share. Ensco’s stock price saw only a small decline on Tuesday but otherwise ended every day in the black. Overall, the stock delivered a gain of 10.24% on the week. Disclosure: I am considering taking a long position in RDC, but have not decided when to make the purchase.